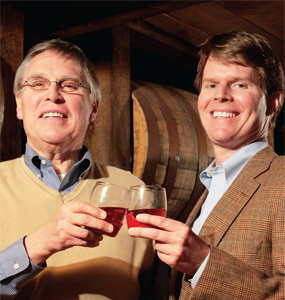 T. William “Bill” Samuels Jr., left, will pass leadership of Maker’s Mark to his son Rob Samuels on April 15. Seventh-generation distiller Bill Samuels Jr., now 70, passes the reins of Maker’s Mark bourbon to his 36-year-old son, Rob, next month after presiding over the rebirth of one of Kentucky’s signature industries. 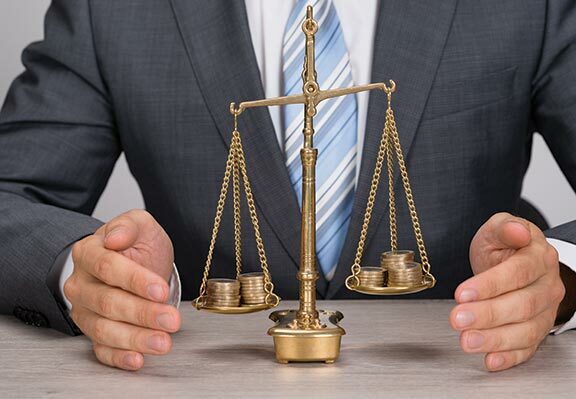 Samuels’ 43 years in the family trade is a triumphant business fairytale that is equal parts luck, rocket-scientist smarts, sophisticated marketing and decades-long determination. For some 20 years, Maker’s Mark operated as little more than what Samuels refers to as his father’s “hobby.” It was beloved within an hour’s-drive radius of the distillery along a rural creek in the rolling hills of Marion County but little known beyond. Since then, Maker’s has achieved the renowned iconic national brand status T. William Samuels Sr. (1910-1992) envisioned from the start when he put the first premium bourbon into production in 1953. It was Samuels Sr.’s son, however, who fulfilled that vision, employing what others in the industry reverently describe as marketing genius and gentlemanly leadership. Premium bourbon today has relevance and cache and a growing customer base that can be described as not mere consumers but fans. They like modern bourbons’ smoother taste profile and appreciate the old-fashioned integrity and effort required to produce it. 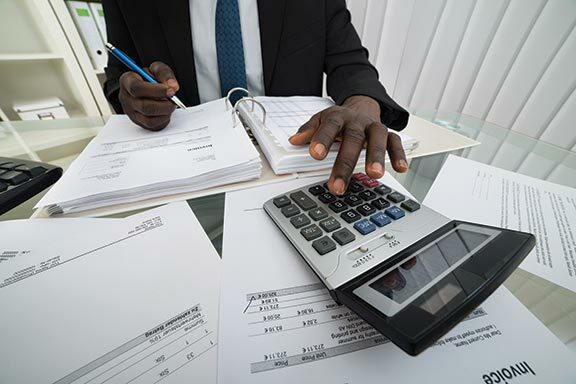 Self-deprecating and amusing, Samuels Jr. relates the winning strategy as one he adapted only reluctantly from his father — after a double-shot of shrewd guidance from product promotion experts his dad hired not to market Maker’s but help headstrong Bill Jr. learn how to do his job. Father knew best, to a degree — Samuels Jr. had to execute the Makers’ marketing masterstroke with what basketball fans might describe as a no-look pass behind dad’s back. Forbidden by Samuels Sr. to advertise or even initiate conversations about the product — a gentleman does not brag — the challenge was to somehow assist potential customers in discovering the greatest bourbon in the world all on their own. They did, and continue to, by the millions. Bourbon appreciation began broadening in earnest after The Wall Street Journal happened to publish a front page article in August 1980 about a rustic little distillery — the nation’s smallest actually — making a small-batch hand-crafted whisky in Loretto. “We did kinda help plant the seed,” Samuels Jr. admits of the article. “But the hardest part of it was, Dad only did two interviews and one speech, and I had to trick him into all three of them. Samuels Jr. gambled on his father’s manners also. The article appeared a couple of months later, profiling a business where product quality trumped profit quantity, where old-fashioned craftsmanship and integrity won out over expediency. And it struck a chord. Maker’s added phone lines and staff to field thousands of calls over the coming months from Journal readers wanting to know how they could get a bottle. The “conversation” initiated, Maker’s replied with a series of Wall Street Journal ads, literally signed by both Samuels, first politely thanking the newspaper for its nice article and subsequently corresponding with those calling and writing the distillery. “We kept it alive about three years,” Samuels Jr. said. 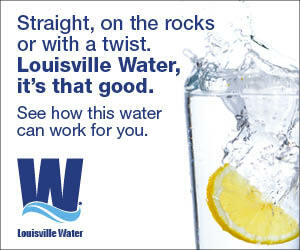 Those ads, and all the others since, were crafted by Louisville-based Doe Anderson, the firm Samuels Sr. contracted 39 years ago to help his son figure out how to find customers. Sales went on an immediate upward trajectory and have rocketed especially the past decade, topping 1 million cases for the first time in 2010. Maker’s has 15 percent of the overall bourbon market and 65 percent of the burgeoning “premium” bourbon category it created. Sales have increased by double-digit percentages for 21 consecutive years. Samuels Jr. and son, Rob, who takes over as CEO on April 15, are in the early stages of executing a plan they expect will make their distinctive red-wax-dripped bottles an international brand as well. With Maker’s Mark at the point of the spear, premium Kentucky bourbon already has penetrated Europe and east Asia. It is considered the peer of long-popular single-malt scotch whisky among knowing connoisseurs in London, Paris, Berlin, Singapore and Tokyo. Maker’s is strategically “seeding” product into selected upscale bars in South Korea, Australia, South Africa. The key target the next three years will be about 100 bars and restaurants in Mumbai and Calcutta in India, where Maker’s recently placed its first full-time employee, said Rob Samuels. The eighth-generation Kentucky whisky maker has experience with international markets from the decade he spent “earning my stripes” with the spirits and wine division of the former British-based Allied Domecq PLC, which was Maker’s parent company. Rob Samuels spent his Domecq years in Ohio, Texas and Florida, but work assignments also took him to Europe before his father invited him to join Maker’s as director of global brand development. Samuels earned a bachelor’s in applied sciences at the University of South Carolina but learned also about retail sales in college. As a bartender near campus in Columbia, S.C., he convinced so many customers to try “a handcrafted Kentucky bourbon” that the regional Maker’s distributor visited the bar specifically to ask the owner why that brand was selling so well. “He pointed to me,” Samuels said with a broad smile. After accepting his father’s job offer in 2006, he augmented his field experience with training at two top business schools while also working at Maker’s Mark. Commuting from Kentucky, Samuels spent a week a month for three years at the University of Chicago Graduate School of Business’ executive education program, then another year of alternating months in Harvard Business School’s general management program. With this extensive preparation, the newest steward of Maker’s Mark has set some growth goals and has a plan for achieving them. Its central element: maintain and protect his grandfather’s original vision for making a superior product. It’s not only well proven but integral to bourbon’s hard-earned appeal. Maker’s is a small batch operation. Its grains — an innovative mixture substituting red winter wheat for old-style bourbon’s rye — pass through a unique roller mill, then spend hours bubbling in wide cypress-wood vats before going through a distilling process that yields a lower-alcohol-content spirit than other practices. Each 19-barrel production run then must spend at least six central Kentucky summers and winters in uncooled, unheated warehouses acquiring flavor and amber color as the whisky expands into and contracts back out of its charred oak casks. Distillery workers rotate all barrels systematically through all segments of the rackhouses during the aging process so they experience a uniformity of heating and cooling. “One year of aging in Kentucky, we believe, is the equivalent of four years of aging in Scotland,” Rob Samuels said. The founder’s grandson said his admiration only grows for the fortitude it took to envision and carry through with creating a bourbon whose recipe was untried, whose production process was more difficult, whose longer aging routine was more work-intensive, in the unproven belief it would result finally, years later, in better quality. He also respects Samuels Jr.’s integrity for not compromising those standards either after Maker’s Mark achieved recognition, demand was outpacing supply, and cutting corners could make more product available and increase profits. “It’s also hard not to change when times are very good,” Rob Samuels said. Samuels Jr. credits his conversion to his own father’s belief system to the determined and “magical” efforts of Jim Lindsey, a now retired Doe Anderson marketing specialist given the assignment of helping Maker’s Mark. Lindsey first spent time getting to know the operation. Mostly he listened. Samuels Jr. is smart and well educated. In the immediate afterglow of Sputnik, he earned a bachelor’s degree in rocket science, literally, at Case Institute of Technology (Case Western University today) then studied engineering physics two years at the University of California at Berkeley. After working at a California aerojet company, he went to law school at Vanderbilt University. His patent law focus included a summer 1965 White House internship as the Johnson administration had begun a major U.S. patent law reform. Samuels Jr. had ideas about how Maker’s Mark could change. Lindsey came up with another direction. Samuels Jr.’s appreciation for Lindsey’s finesse comes through clearly as he recounts how it happened. Crafting the questionnaire and conducting the conversations took six months. While Samuels Jr. found it “brilliant,” he said, “I was still convinced he didn’t have anything.” But that’s because Lindsey wasn’t finished. Convincing Samuels Jr. to “suspend judgment a little bit longer,” Lindsey rendered the concepts into a plan and presented it to Samuels Sr., who blessed it as an accurate articulation of his thinking about how Maker’s could become a respected, iconic national brand. First, however, Samuels Jr. and Lindsey had to figure out how to make it actionable, which was no simple thing. The eventual result was The Wall Street Journal article. Doe Anderson also came up with the years-long campaign of clever ads combining Maker’s iconic dripped red wax with archetypal objects that resonate deeply with the public. The dripped wax: It was devised in the family’s deep fryer by Margie Samuels, who had a chemistry degree from the University of Louisville, along with the rest of the original product presentation: the square bottles, the name and the logo. A cultured woman of good taste, Margie Samuels owned a complete library of Old English pewter makers’ service marks, which were stamped into and branded their best work. She conceived the Maker’s Mark name and evocative logo to communicate her husband’s confidence that his was a fine, handcrafted bourbon. It took decades of steadfast adherence to the original concepts, including convincing outside owners the past 30 years to go along it too, but the Samuels vision won out and won over the rest of the bourbon industry. Samuels Sr. sold – because of onerous estate tax policy at the time, according to his son – in 1981 to Hiram-Walker & Sons. Hiram sold in 1987 to Allied-Lyons, which became Allied Domecq through a merger. Deerfield, Ill.-based Fortune Brands acquired Maker’s in 2005. None of the owners, however, meddled in operation of the company. Although Maker’s has had sustained annual growth under Samuels Jr.’s leadership, he considers it yet another unlikely element of his success story that the owners have opted for hands-off corporate oversight. He admits to a personal “tenaciousness,” but Samuels Jr. does not take personal credit for Maker’s success. It wouldn’t be in keeping with the Samuels way, though, to be conspicuous or direct in explaining what one has done. Samuels Jr.’s community and civic involvement record presents undeniable evidence of leadership ability. He has chaired at least 27 different boards over the years, including those of the University of Louisville, Bellarmine University and the Kentucky Chamber of Commerce. He credits this to his father. Achieving the latter, Samuels Jr. said, meant not just attending meetings but being active. His advice to every young person is “to get seriously involved in your community. Every commonwealth bourbon distiller is adding warehouse space currently, Samuels Jr. said, indicating a sober expectation of long-term rising demand since product entering warehousing can be sold only years later. Financing present expansion meant Maker’s and others in the industry convinced not just themselves but bankers about their prospects. Maker’s Mark has begun a $110 million expansion project itself. Plans are in hand for a third iteration of the original distillery. A first mirror image of the 750,000-barrel facility Samuels Sr. bought in 1953 was built a decade ago, doubling production capacity. Warehousing to age the pending 50 percent increase in capacity is on the way, too. Samuels Jr. is sure the bourbon industry’s best times are ahead. Industry leaders certainly give Samuels credit. They were generous with accolades in an Associated Press article about his pending transition. “Bill Samuels reinvented the way bourbon was marketed at a time when the industry needed it most. 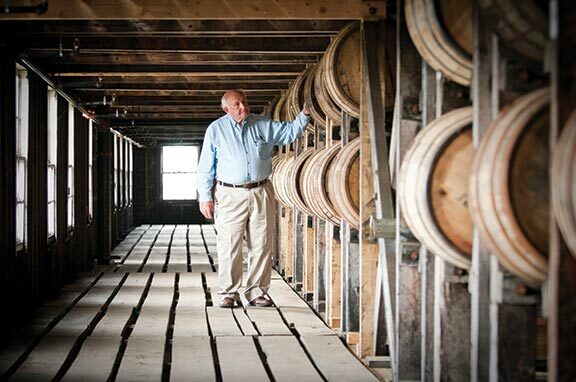 He forever changed the bourbon industry,” said Matthew J. Shattock, president/CEO of Beam Global Spirits & Wine. “His marketing genius, his international vision and his gentlemanly leadership has helped propel Kentucky bourbon into the global spotlight,” said Eric Gregory, president of the Kentucky Distillers’ Association. Samuels was “instrumental in the renaissance of the bourbon category,” said Max L. Shapira, president of Heaven Hill Distilleries Inc., the largest remaining family-owned and operated bourbon maker. Among Samuels Jr.’s formative experiences, he spent part of his 16th summer as the driver for a determined salesman, family friend Harlan Sanders, who was seeking customers for his seasoning and chicken cookers in the region surrounding Bardstown. Now 54 years later, the soon-to-be chairman emeritus of Maker’s Mark will be easing back on the throttle in his career but not retiring. Far from it. Samuels Jr. will spend 30 to 35 hours a week promoting Maker’s 46, the new bourbon launched last summer with his extensive direct involvement. He also will advocate on behalf of the entire bourbon industry. He will be “touching consumers,” said Rob Samuels, who had the task of creating his father’s new job. Playing to “clear strengths and aspects of the business he clearly enjoys,” Samuels Jr. will “spend quality time with consumers and bartenders” and more time at the distillery in Loretto, which had 100,000 visitors in 2010. “Wouldn’t it be amazing if he could have even more of an impact in his new role than he has in his previous role?” Rob Samuels said. Mark Green is editorial director of The Lane Report.